Thomasville Furniture Reviews - Furniture With a Small Town Feel! Thomasville Furniture have humble origins but have grown to be one of the industry leaders. Founded in 1904 in Thomasville, North Carolina, they’ve spent the last 100 years perfecting their craft and products. Now they boast a wide range of different hand made pieces with are designed to benefit the home. In this Thomasville Furniture reviews guide we will learn quite a bit about the history of Thomasville furniture, the types of furniture they produce, the quality of these pieces, and their furnitures warranty information! Thomasville pride themselves on their dynamic and flexible spirit. They’ve followed the fashion trends, and made a few of their own, to keep their products fresh and relevant to the people of today. Thomasville always keep their products centred around innovation and quality. Thomasville Furniture is all about the people. First are foremost the customer is at the heart of what they do. Every piece, from design to delivery, is made to bring value to the buyer. Thomasville also take pride in their employees, training skilled workers and treating them well so they continue the tradition of high quality craftsmanship. If you like the values of Thomasville, then you should take a look at Smith Brothers furniture as well! 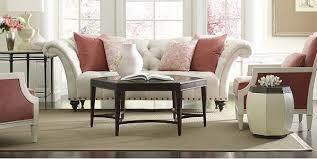 Thomasville furniture can be seen in homes across America with very popular ranges and collections. Thomasville furniture is available through their Home Furnishings stores, for cabinets and other units they have Thomasville Cabinetry. Thomasville is about self expression through your furniture, let’s take a look at some of their most popular products. Thomasville furniture is designed to benefit the whole home. 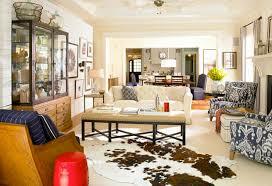 They have ranges for the living room, dining room, bedroom, home office and decor pieces. While each of these ranges has some nicely produced pieces, it’s the living room furniture that stands out as their most popular line. Thomasville also have unique collections that aren’t available anywhere else. One of their most popular is the Ellen Degeneres collection. The ED collection has been designed with the input of one of the country's favourite celebrities. The collection features living room, dining room and bedroom sets. Thomasville furniture have chosen to keep their production within the U.S. While this is more expensive It gives them much greater control over the manufacturing process, allowing a greater level of quality. Thomasville have over 100 years of experience when it comes to furniture building. Thomasville furniture does all have a traditional feel but they’ve managed to adapt and change with the times. Their furniture has modern features and a lot of their products are built with solid hardwood. All of this means it’s built to stand the test of time and should last. If you are looking for another company with a small town feel, then Franklin furniture or Huntington House. Thomasville furniture is not as well made as the high end brands, but for a mid range furniture provider they are fairly reliable. This allows you to match furniture to your existing home decorations and build upon the existing look you already have. While there are distinct differences between each, Thomasville do favour a more traditional style and a lot of their furniture has a very classic look. 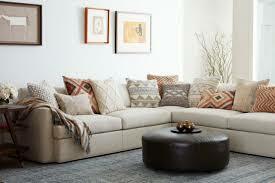 Thomasville let you select the firmness of your sofa or chair. Different cushions let you select how exactly your sofa will feel and give you the maximum comfort. Thomasville excel when it comes to the choice of fabric. They have over 500 different choices available, these don’t just range between different colours but different textures too. Your seating can have a distinctive feel and look depending on your preferences. Thomasville also have a range of leather furniture. This gives a classic look and can really improve a room. Leather has the added quality of being durable but still soft to the touch. Choose from a range of different colours and be sure to check out their material care guide when you purchase. There are motion options available for Thomasville chairs. These include reclining, power reclining and swivel so you can get the maximum comfort from your living room furniture. No review of Thomasville furniture would be complete without mentioning the Ellen Degeneres collection. A popular choice for a lot of furniture makers is to get a celebrity in to put their name on a range. There’s debate over how much actual input the big name usually has on the designs but a lot of them have produced some off the wall fashion choices. Combining Danish and Italian influences these products are a lot more free flowing, with unique shapes and designs. All of them have hand made elements and look custom made for you. The mid century styling is created with walnut veneers, brass hardware and bronzed glass, giving a relaxed and warm feel to the style. Inspired by Scandinavian antiques this range is all about the attention to detail. Designed to be ornate but still modern they feature oak with metal and stone. With deep frames and hand-crafted detailing the rustic modern design makes your furniture like a work of art. Both of these styles have the touch of Ellen Degeneres’ personality to them and give your home furniture some character It might not have had before. Thomasville have shown they really understand the demand for personalisation in the home furniture industry. On their website they have a customisation tool so you can play around with the different options available. This is useful before you go to a dealership so you aren’t totally overwhelmed with all the choice on offer. “We have had a thomasville dresser for about five years now. I just ordered two nightstands to go with it. The dresser is outstanding in all respects. 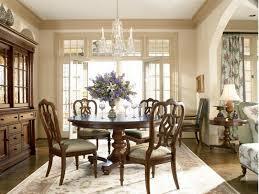 I expect it to be around longer than me.” - Andrew D.
“I have bought Thomasville furniture before but never will again. At nearly $1000 this kind of quality should never leave the manufacturer. “ - Jeff D.
There is evidence that Thomasville has begun to outsource some of their production to China and to Mexico. This can mean the quality is not as high as in previous years and you have to be extra vigilant. Check and double check upon delivery and make sure you’re familiar with your warranty in case something goes wrong. That doesn’t mean Thomasville Furniture is poorly made or that it can’t give good value. For the price point they’re offering some solid products, you just need to be careful to make sure there aren’t defects before you use them. Thomasville offer a warranty on their products to protect against any workmanship faults or material defects. Sleeper mattresses, fabrics, leathers and electrical components are covered for 1 year. Cushions and mechanisms for 3 years and frames and springs for 5 years. Always check with your dealer about your specific products before purchasing so you know exactly what’s covered in your products. Thomasville have proved they’re doing something right to have survived this long in a competitive industry. Their ability to keep up with modern trends while keeping their values is admirable and means well designed furniture across the board. Thomasville have dropped in quality lately and reviews can paint a pretty damning picture. However always remember that bad reviews will outnumber the good and look instead to try out the products. Thomasville have a variety of products and customising options that let you personalise the furniture the way you like it. Wherever possible upgrade to hardwoods and durable fabrics to give a longer lifespan. If you’re looking for furniture with a mid range budget Thomasville have some excellent pieces that can certainly bring value to your home. Check them out today at your local dealership.